After a series of changeovers, world’s richest governing body BCCI along with the popular mobile company Oppo has now taken the responsibility of sponsoring the Indian cricket team. After going through the certain developments on the earlier jersey both the BCCI and OPPO has now come up with the brand new jersey. Champions Trophy is about to start and the sponsors now unveiled the new kit of the team. 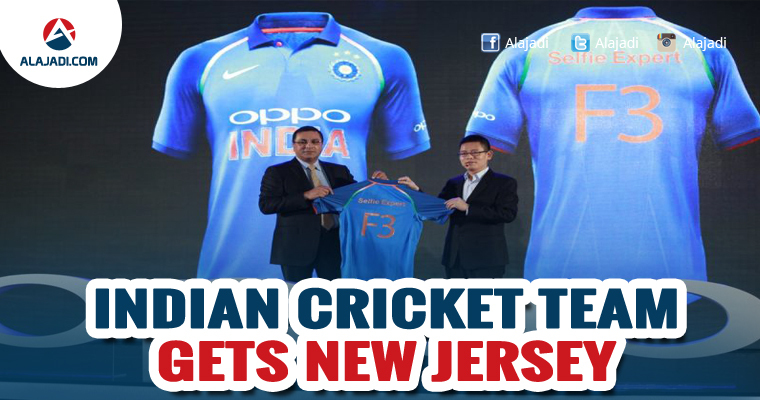 Rahul Johri, CEO of the BCCI, revealed the brand new jersey at an event held at Mumbai’s JW Marriot Sahar hotel. When putting together, one can easily notice that both the old and the new jerseys are moreover same. This new jersey now has the similar layout with a dark blue shade on the sides along the arms, and a lighter hue on the chest and back. A thin strip of tricolor runs from the collar to the sides of the arm, with the Nike logo and the BCCI crest on either side. Despite being everything same, there is only one major difference, the new official sponsor, OPPO, now replaced the ‘Star India’ logo. And the OPPO’s symbol will be featured in the center of the jersey. According to the sources, this smartphone company has already paid Rs 1079 crore as a deal that is tied for five years. And in addition to this, the company will be paying an amount of Rs. 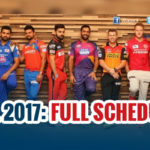 1.56 crore for every game featuring in an ICC tournament, and Rs. 4.61 crore per bilateral game involving team India. To win this bait, OPPO has offered $162 million for a five-year period to beat the Vivo’s $115 million for the same, this happened in April.